Lent Term is always our favourite time of year, as our programme is specifically focused on social innovation and impact, something we can see our Generate students are particularly passionate about. 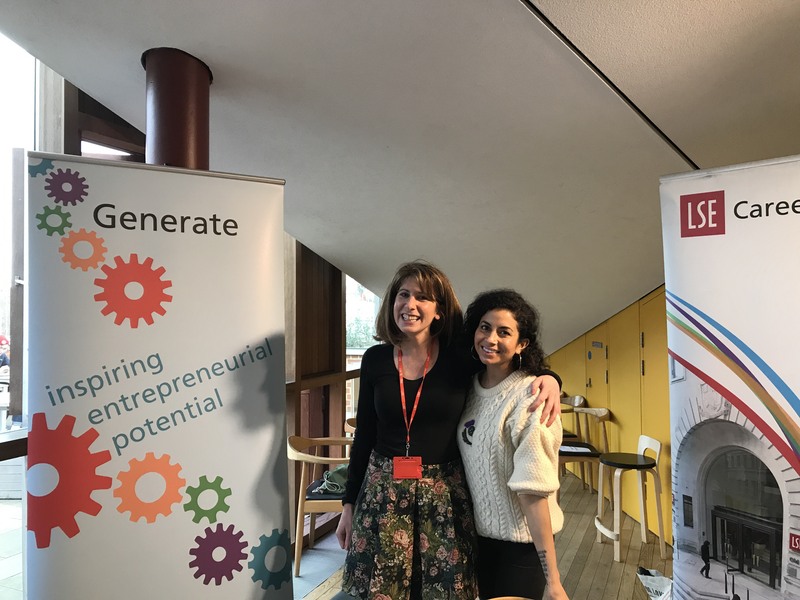 This term was particularly exciting, with Generate hosting speakers from Bethnal Green Ventures, Nesta and brac. Read below to catch up on all the events we ran and for a sneak preview into our summer term programme! We started off the term with a bang, organising a workout with Social Enterprise, The Hard Yard. Co-founded by LSE alum Frankie Bennett, The Hard Yard works with ex-offenders to create bodyweight workouts for Londoners. Intensive and fun, we highly recommend the experience! They also do a student discount for those interested in a different way of working out. After recovering from the intensive exercise, we had our first breakfast epiphanies with Tara Chandra, founder of FLO, a sustainable period venture. Tara relayed her fascinating and impressive experience of building a mainly female-orientated venture in a male-dominated investment world. The question flew as students were incredibly engaged over croissants and coffee. For our second breakfast epiphanies, we hosted Bonnie Chiu, founder of Lensational. Bonnie went through the Generate competition as a student, and made it through to the final round. She now runs a social enterprise that has been recognised and awarded for its social impact by Sigos, Forbes and Hivos. Bonnie spoke to our students all about the structure of social enterprises and the reasons that she became involved in entrepreneurship. 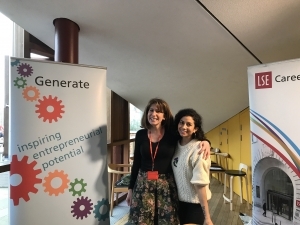 Director of LSE Generate, Laura-Jane Silverman, with co-founder of FLO, Tara Chandra. Our ‘social sessions’ series this term also hosted some big names. We started with Bethnal Green Ventures, and learnt all about how their intensive accelerator works, as well as about BGV’s #techforgood motto. 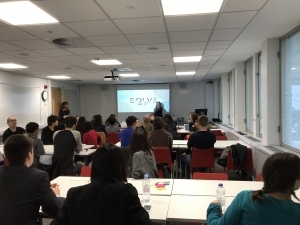 We then invited the Global Social Enterprise Network, GSEN, to come speak, as a member of their organisation, students are welcome to contact us anytime about potential contacts in the GSEN network they might want to be put in touch with. We will also be attending the GSEN conference 10-11 April in Oxford, so keep following our social media to hear about the fascinating workshops Generate will be attending! We then hosted Lewis Temple, the CEO of brac, who came and explained the work that they are currently doing within the international social entrepreneurship ecosystem. Finally, Nesta travelled to speak for us, in collaboration with the LSESU Social Innovation Society. They ran an interactive session about impact investment, engaging with students by asking whether they would invest in example businesses and their reasons for why/why not. To continue our engagement with international links, we also invited back MIT Solve, who ran an interactive workshop, or ‘solve-a-thon’ for us. Stay tuned to hear about our Summer Term collaboration with them, as well as the LSE Careers Volunteer Centre! Our Lent Term workshop with MIT Solve! Our final event of the year was our popular funding competition, with our funding final taking place March 16. You can read all about the event in detail and about the winners we funded on our previous post here! Throughout all of this busy work, we also thought ahead to Summer Term. Keep following our social media (both Facebook and Twitter) to hear about dates for our Women in Enterprise festival, our enterprise careers fair and other incredibly exciting opportunities! In the meantime, good luck with revision and we hope you all have time to relax over the Easter!